RENECOFOR is a national network for the long-term monitoring of forest ecosystems. 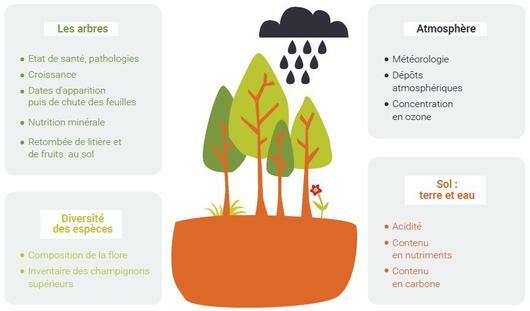 It was created in 1992 by the National Forest Office (ONF) following France’s commitment to an international effort to monitor atmospheric pollution in forests. RENECOFOR’s mission is to detect possible changes in forest ecosystem processes and to better understand the reasons for these changes. The Network is composed of about a hundred permanent plots where different components of the forest are monitored: trees, soil, atmosphere and plant diversity. Changes in plant species diversity. Acid rain, climate change, changes in biodiversity: for several decades, a variety of global disturbances have been threatening our environment. The forest is an important ecosystem in terms of the space it occupies (around 30% of the French territory) and the many services it provides society. However, the trees' long life cycle makes them particularly vulnerable to changes in environmental conditions (progressive acidification or eutrophication of soils, migrating insect pests...) and to extreme climatic events (droughts, storms...). To better understand the effects of global changes on ecosystems and to be able to predict their outcomes and adapt accordingly. 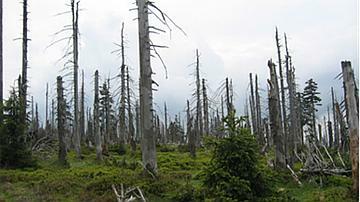 At the beginning of the 1980s, precipitation containing acidic pollutants (also known as "acid rain") was threatening the forests in industrialized countries with a massive and rapid decline. 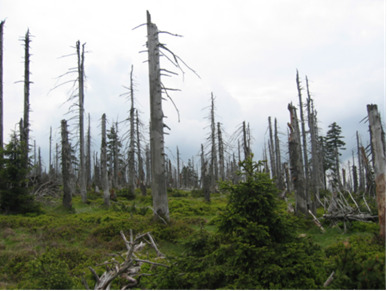 Alarming symptoms, including the yellowing or loss of foliage and even tree mortality, occurred over an unprecedented area throughout the forests of Central Europe. However, a lack of scientific information made it impossible to evaluate the true extent of the phenomenon or to predict the outcomes of the onslaught. In retrospect, though the forests did not all die off, the acid rain crisis left its mark on public opinion. People had become aware that human activity had an impact on the environment as a whole, and not just in urban areas. Politicians and governments were moved to sign international agreements to reduce emission levels of atmospheric pollutants and to monitor their impact on the environment. In this context, several forest monitoring systems were put into place, one of which was RENECOFOR. 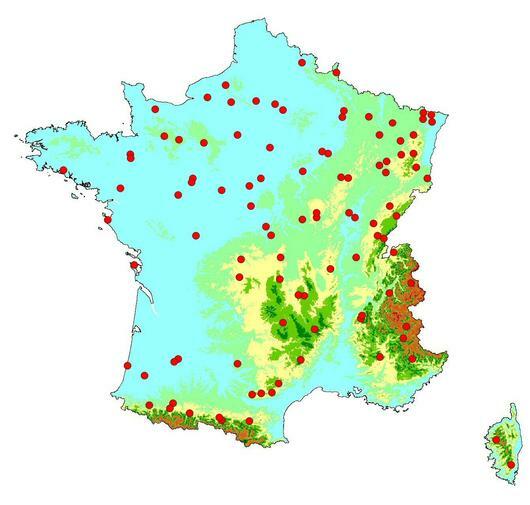 The distribution of the RENECOFOR monitoring sites was designed to include a range of varied ecological contexts. Each site covers a fixed area of two hectares. Site locations were chosen to ensure that the required measurements and sampling campaigns could be carried out while allowing normal forest management activities to be pursued. Experimental research sites with considerable instrumentation and equipment where ecological processes can be explored in detail, but which are few in number and, therefore, cover only a narrow range of forest contexts. Continuous assessment of procedures and their associated uncertainties to ensure improved quality. As data are collected, they are recorded, checked and saved in a single national data base. 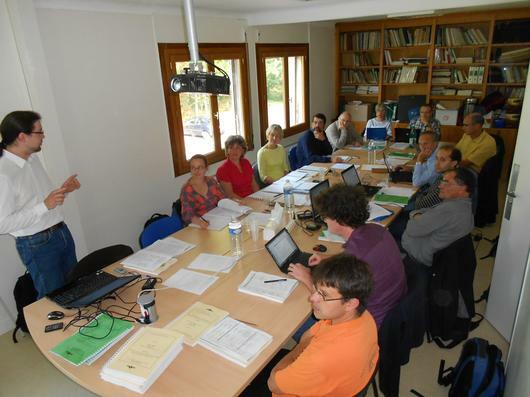 Since 2006, regular assessments have been carried out to provide an overview of the Network's scientific activities and accomplishments, and to furnish our funding bodies with analyses and suggestions for future orientations. The first assessment took place in 2006 and the second in 2013. Following the second assessment, a Scientific Pilot Committee was created. Composed of researchers and representatives from our funding bodies, the Committee follows RENECOFOR activities from year to year and provides expertise and support for the Network's missions. Why these observations? Who will benefit? The data collected by RENECOFOR helps produce quantitative indicators and establish precious reference points to enlighten public policy both at the national and international levels (for example, to help define European limits for atmospheric pollutants). Provide opportunities for progress in methodology, related to our actual ability to detect changes in our environment. In addition to carrying out its primary missions, RENECOFOR allows researchers access to our sites and to our extensive collection of samples for a variety of scientific studies. RENECOFOR results are also communicated to the public at large at trade shows and conferences, during on-site visits and though oral presentations. What was accomplished in 2017? A conference was organized from October 11 to 13, 2017, to celebrate the 25th anniversary of the RENECOFOR Network. A total of 320 participants attended to the presentations and discussions on the knowledge acquired for 25 years and future perspectives. The installation of permanent dendrometers was finished, so that annual growth can henceforward be monitored on about 3 400 trees. Contributions were made to research work: support was given to some new measurements in the Network's sites and to several scientific publications.